A login username and password are required for access to the download. If you need a login, please contact your RM Studio project leader or similar, or send an email to us support@riskmanagementstudio.com. During the installation of RM Studio, shortcuts are created on the desktop and in the Windows Start Menu under the path Start>All programs>RM Studio. 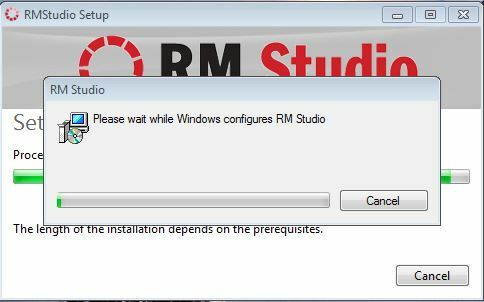 If you are upgrading from a previous version of RM Studio, simply install the new version and the system will update with the new features. Use the Administrator account and enter the database settings to upgrade the database(s) you are using with RM Studio. Download the installer file from our website. After the download completes, execute and run the file. Wait for the installer to configure and complete the installation. The process should take a couple minutes to complete. Once the install is complete, open the RM Studio icon on your desktop or in the programs. If for any reason you are experiencing difficulties or are unable to complete the installation, please contact support@riskmanagementstudio.com.